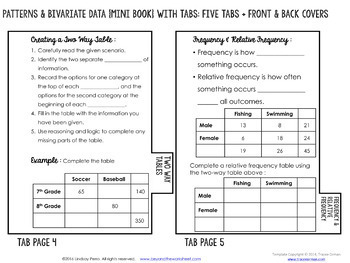 This resource provides a hands on and engaging way for students to review their patterns and data unit or take notes as the unit progresses. 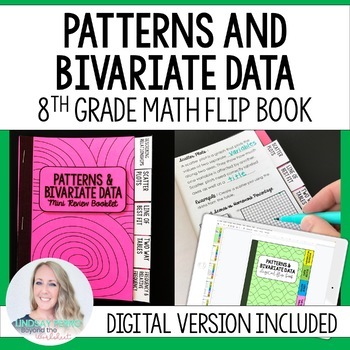 This flip book aligns perfectly with my 8th Grade Patterns and Bivariate Data Unit and was created based upon the study guide for the unit. This resource is SO versatile because it comes in three different completion levels - perfect for differentiation and scaffolding. * Complete – All notes and examples are filled in. * Scaffolded – Notes are scaffolded (fill in the blank) and examples are incomplete. * Blank – Headings only. The blank version is NOT editable to preserve the template created by Tracee Orman. 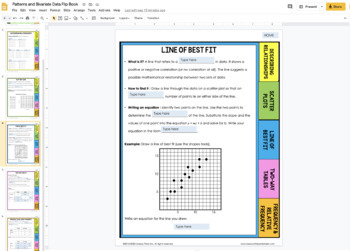 To use the blank version, print blank and have students handwrite in all notes and examples, or handwrite in the notes and examples yourself before making copies for students. ✮✮If you are interested in gaining access to an exclusive set of free resources, CLICK HERE.